Following from Part 1: Korean Street Food, today’s blog post brings you, the things we did and saw (Part 2: Korean Adventures). This bustling city had a lot to offer the first-time visitor, so we made sure to hit some of the top tourist attractions as well as places that were a bit more unusual. We stayed at The Plaza hotel, located right across from Seoul City Hall and right in the middle of the historic center of the city with the metro is close by. 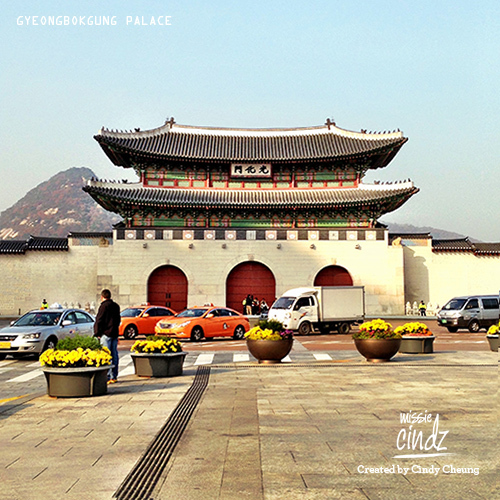 Gyeongbok Palace is a short walk away and there was a combination of cultural attraction, shopping and business areas nearby. Cheonggyecheon Stream, a beautiful stream that runs through downtown. At the same time checking out the 2013 Seoul Lantern Festival showing some spectacular night views! Insadong of wooden tea houses, boutique galleries, street vendors ~ taking a stop at trying the local street food too. The Great Eastern Gate at Dongdaemun where the grass is green…… and the shops close at 5am! On our first night, we also checked out the awesome night time view of Seoul from the top of Namsan mountain at N.Seoul Tower! The tower’s main attractions included a multi-coloured digital art projected onto the tower at night, a digital observatory and stunning (calm) beautiful night scenery – all making it a popular place to unwind and get lost in. N.Seoul Tower also famous for its “Locks of Love”, where thousands of padlocks are attached to the fence by romantic Seoulites symbolising their undying affection. 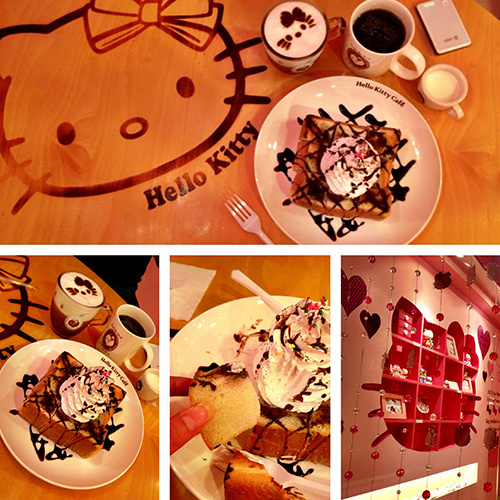 There was certainly a lot of love found in Seoul! 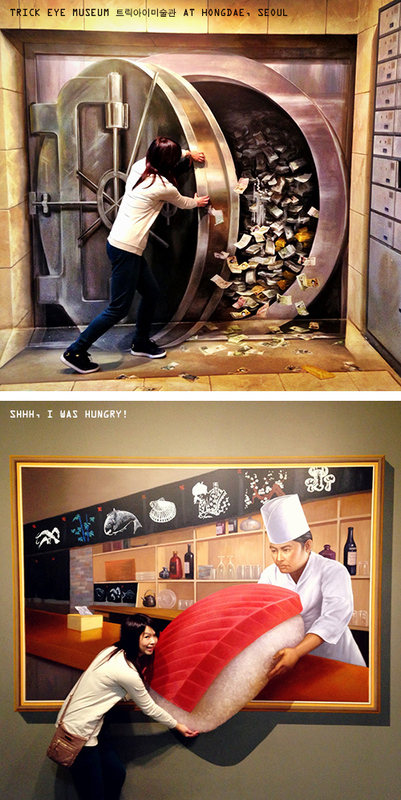 We decided to put on our creative hat and took some wacky photos at the Trick Eye Museum, an art gallery with paintings that give each 2D art piece the illusion of being in 3D (see photos above). 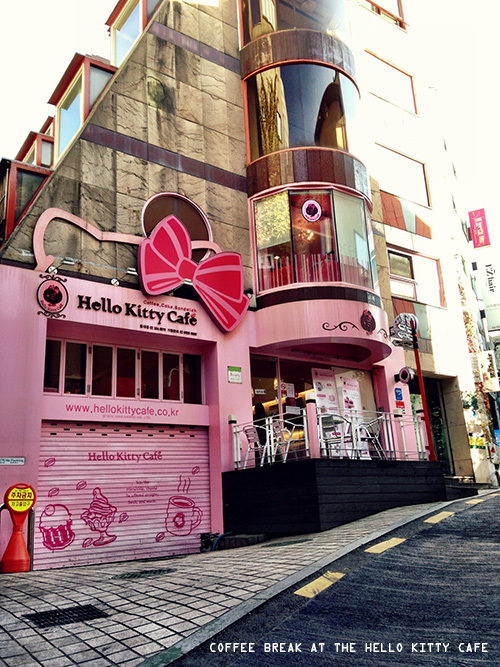 Located within the Hongdae area, a region in Seoul near the Hongik University, the area is known for its urban arts and indie music culture, clubs and live entertainment. 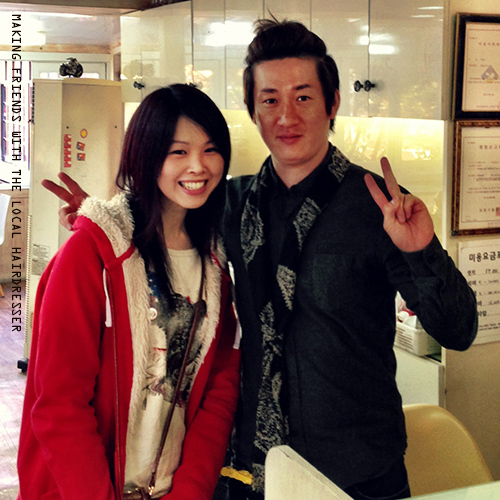 It doesn’t take much to support the local community too as I made new friends with the local hairdresser in Hongdae, too! I loved visiting Artbox — a kidult’s store full of cute stationery, home decor, and giftables of all kinds. This was the kind of store I wish I had now! London has one in Covent Garden but the ones in Seoul had such a buzz and massive choice in stationery goodness I could’ve spend all day in there! Stay tuned next week for the final part of my Seoul Searching Series with my adventures in Seoul! P.S. 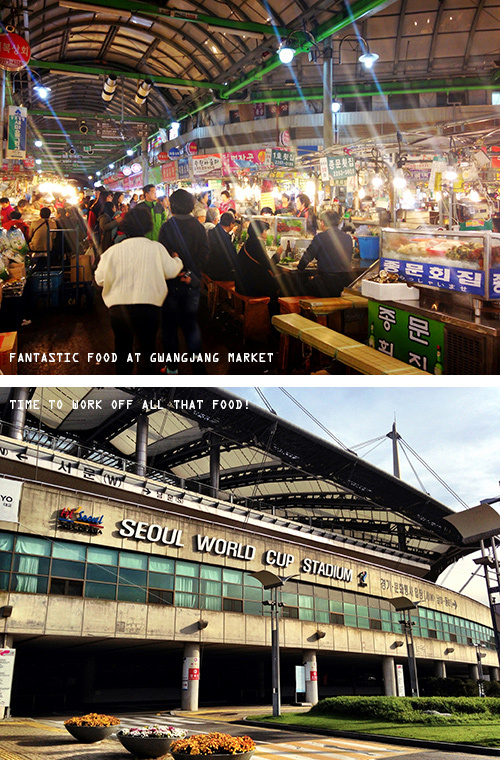 If you missed it, see Part 1 – What We Ate: Korean Street Food. 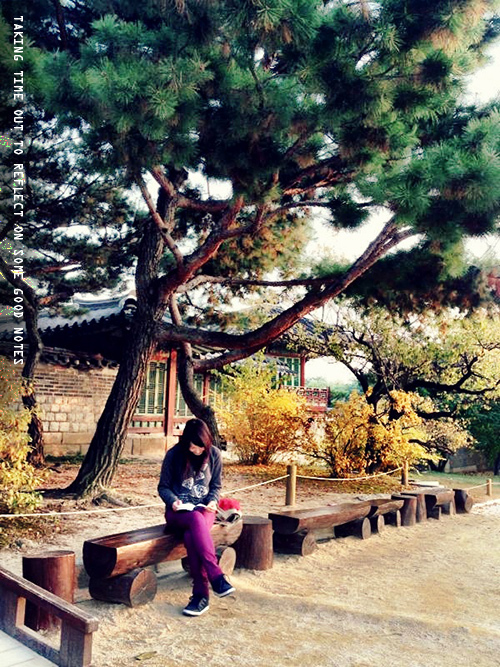 I hope those of you who are planning a trip over there will find my latest posts helpful – feel free to email me if you have any questions or need help with anything Seoul related. Remember not to over pack!